pop-up all you can eat vegan brunch on sunday 10/30! this weekend is gonna rule. 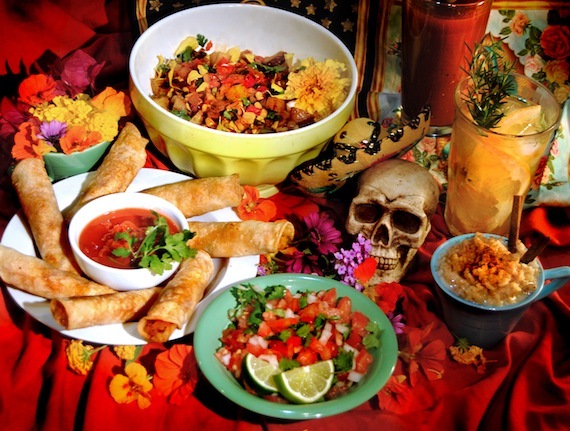 not only is there a vegan halloween party on saturday, but there’s a pop-up all you can eat vegan brunch on sunday to celebrate dia de los muertos and benefit one of our favorite charities, ARME! advance tickets are only ten bucks (they go up to $15 the day of), and i highly encourage you to RSVP sooner rather than later. not only because the event will probably sell out, but because the organizers want to be sure to cook enough food for everyone to be absolutely stuffed. the menu is looking insane: think herb roasted potatoes, smoked jackfruit burritos, seitan sausage, aztec tofu scramble, muffins, sweet rice, drinks, and cocktails for an additional charge! if there’s one thing LA is missing, it’s an all you can eat vegan sunday brunch. let’s take advantage of this one, even if it’s just for one weekend!